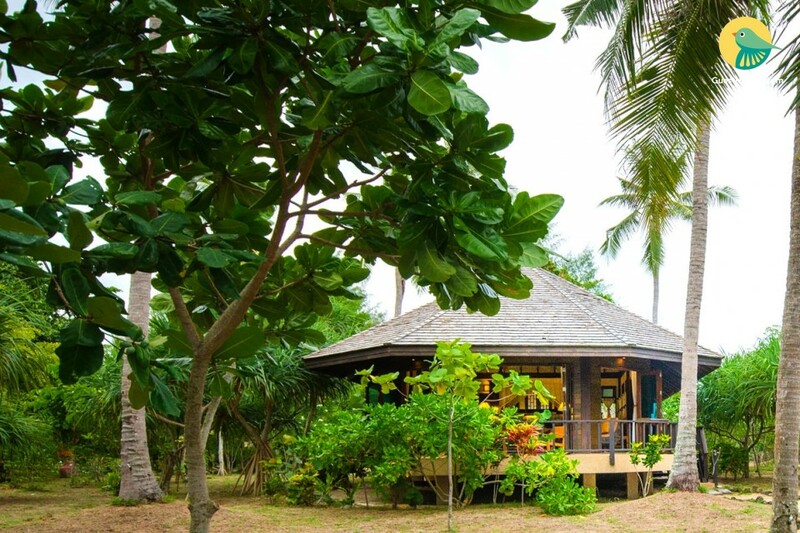 It is a luxury eco chic beach villa hideout on Koh Jum in Krabi is about thirty minutes by long-tail boat from mainland Krabi and is located on the island of "Jum", or as the locals sometimes refer to as "Koh Pu". Koh Jum is truly an undisturbed sleepy island with three small villages and lots of forests and nature. There is no ATM on the island and till now not even a commercial mini mart chain making it the perfect ultimate hideaway for guests seeking absolute privacy and a retro Thai experience. It is located on a four kilometre west facing stretch of beach over-looking the Koh Phi Phi National Marine Park. The villas have seven hundred meters of beachfront and are nestled in vast tropical gardens. All the villas are individually designed to provide a unique guest experience. Keeping true to our eco chic hideout beliefs, our villas, although luxurious, spacious, comfortable and private in nature, do not offer television. 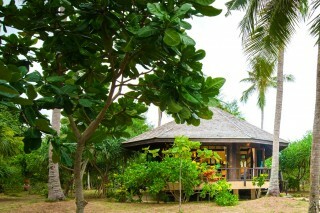 All our villas offer also great natural ventilations and of course have fans. A cool breeze from the ocean and the sounds of the waves adds to a great natural experience to sleep at night whilst keeping our eco footprint as low as possible. AT THE PROPERTY AND KOH JUM : KAYAKING BICYCLE TOURS TREKKING NATURE WALKS FISHING TRIP SUNSET CRUISES ISLAND HOPPING PICNICS DIVING SNORKELING COOKING CLASSES BEACH VOLLEYBALL BADMINTON & PETANGUE VEGETABLE GARDEN BAR GAMES IN-VILLA BBQ Besides relaxing, chilling, getting pampered, reading (or writing) a book, enjoying fabulous international & local cuisine, exploring some stunning boutique wines, sipping fine cocktails on the beach, swimming in our private pool or enjoying some of the best sunsets in the world, there are many other things to do at THIS PROPERTY, Koh Jum Island or Krabi and its surroundings. It is a luxury boutique eco-chic beach hideaway property and has all facilities one could expect from a luxury boutique beach property and every year we are adding new facilities to the property to keep our guests interested and keen to return. we also offer; THE RESTAURANT - LOCAL AND INTERNATIONAL CUISINE. THE BAR - INTERESTING SNACKS, GREAT COCKTAILS & DRINKS AND COOL MUSIC. THE POOL - GREAT FOOD & DRINK AND AMAZING SUNSETS. KOH JUM DIVERS - PADI DIVE SCHOOL. THE ORGANIC GARDEN - ORGANIC HERB, FRUIT & VEGETABLE GARDEN. THE BEACH - 700 METERS OF BEACH WITH VIEWS INTO PHI PHI AND KOH PU. SPA SALA - FOR SPA TREATMENTS NEAR THE BEACH. It is about a thirty minutes boat ride from Krabi mainland. The best port of arrival is Krabi International Airport, which services many domestic and international flights a day. Our airport representative will welcome you at Krabi International Airport and brings you to our private pier which is only a twenty minute drive.